While his high school classmates were walking in their graduation ceremonies, Gene Hester was jumping out of a plane. The 69-year-old Columbia County man can recall enlisting in the U.S. Army in 1967 at 18, amid a U.S. military draft, before he graduated high school. "I hated school, so I walked into an Army recruiter's office and I saw Special Forces guys jumping out of planes and said, 'Can I do that?'" Hester says. By the end of what would be his senior year, Hester was already in the thick of things. "In June, I was working with the Cambodian mercenaries," Hester says. He entered the Army months before the launch of the Tet Offensive - marked by massive surprise attacks against U.S. troops during the Vietnam War. "The Tet Offensive was starting, and they were drafting," Hester recalls. "Most of our company were guys from the Bronx. They moved them as far away as they could from Fort Lewis." Hester recounts serving alongside young, but hardened, New Yorkers. "It was jail or Army," he says. "They needed people really bad. Unless they had committed an outright serious felony, they could join." As Hester was starting his military service, Dave Beldon was preparing to discharge from the U.S. Navy. Beldon served a little over three months in the Navy, starting in 1964 when he was just 17 years old. "I went in the Navy in September 1964, when I was 17," Beldon recalls. "The day after my 18th birthday, we shipped off to Vietnam." Beldon jokes that he joined the Navy to escape a bitter winter and dearth of jobs. vI grew up in South Dakota, there was a hard winter coming up, no jobs," Beldon says with a shrug. "My buddy, he asked me one time, 'How come you went in the Navy?' I said, 'I wanted to see something.'" Beldon spent most of his time as an engineer on a minesweeper — a naval warship. engineer. I got to see day-light once a week for five minutes." Beldon's ship was stationed on the South China Sea, off the coast of Vietnam. "One time we swept the Saigon River," he notes. Beldon, like Hester, entered the military before finishing high school. He later earned his GED in the Navy. He finished his service and later moved to Columbia County in the early 1970s, where he now serves as commander of the Veterans of Foreign Wars post in St. Helens. He and Hester are both VFW members who served during what is considered the longest and most controversial American military conflict. 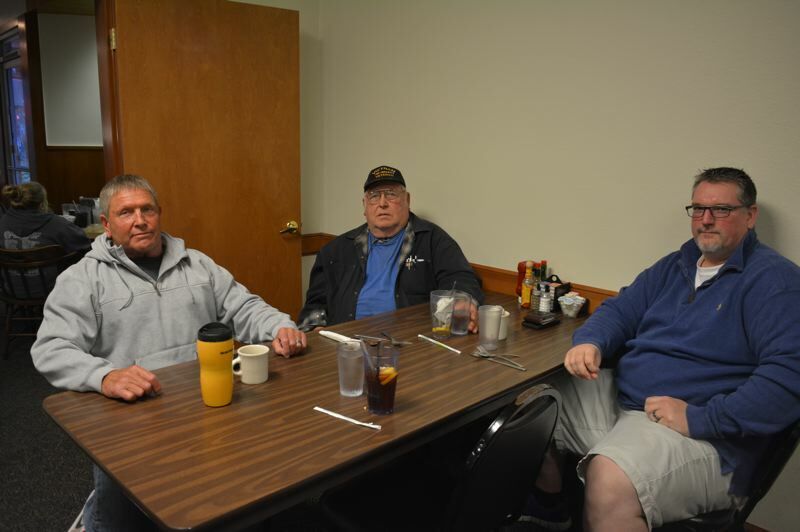 Before a VFW meeting on a Tuesday evening in St. Helens, Beldon and Hester reminisce about their military service, alongside fellow VFW member Jeffrey Collins. After the Vietnam War, like many other Americans, Collins thought his country wouldn't see another war. About two years into his service in the Army, he found himself deployed to the Middle East. "I went in to a peacetime Army at the time," Collins says, nursing a cup of hot coffee at a St. Helens diner. "I didn't think I'd ever have to go to war or anything. The reason I joined, is my dad and my uncle both served. My dad never talked about it but he had a book on Korea. That always piqued my interest." Later, when the son of a family whose lawn he used to mow in high school was killed in service, the sentiment of service to his country deepened. Collins first found himself in Germany in the late 1980s. "I was there when the wall was still up, Russia was still a big threat," Collins says. "We thought we were more likely to be in the conflict with Russia. We were in the field when the wall came down. All these east Germans came over to our camp and said, 'thank you, thank you.'" In 1988, fresh out of high school, Collins was young with money to burn and a city to see. "It was two years of debauchery," he admits. Things changed in the early 1990s, when Saddam Hussein became a central focus of American military politics, and later, the catalyst for the Gulf War. Collins will never forget landing near the Iraq border. "I remember when they opened the doors, it was like somebody put a hair dryer on my face," he says. 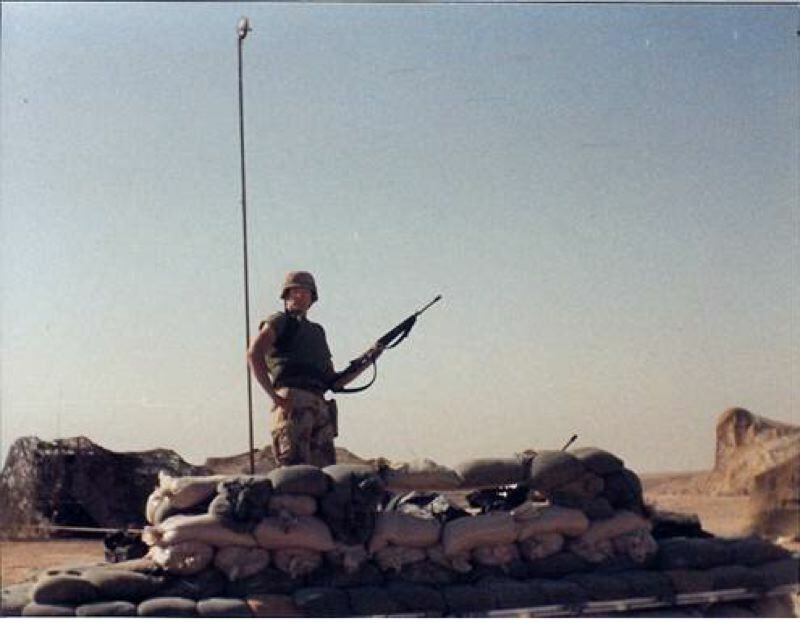 He was 21 when he was deployed to Saudi Arabia to help with radio and satellite communications — a field he still works in today. These days, when Collins, Hester and Beldon delve into their military service, it's mostly relegated to the logistical things. Talks of stints in tiny villages, the dark caverns of ships, and the challenges of keeping radio communication intact in the middle of a remote desert. The carnage and trauma of war isn't something the men talk about much. Hester can crack a smile while recalling the preparation for jumping out of a plane, and Collins now laughs at the recklessness of being a teen in the military away from home. That doesn't erase the experiences of the past. Nothing ever will. Juxtaposed between recollections of working alongside the Cambodian military, Hester admits the Vietnam War was equal parts combat and psychological unraveling. "It was a bloodbath," Hester says. "The human mind is not conditioned to handle this." More than 20 years later, the U.S. still struggled to grasp the concept and pervasiveness of Post-Traumatic Stress Disorder among the American military. The impacts would manifest in startling suicide numbers that are now tracked and discussed. "I can't express the amount of fear and terror that you have," Collins says, pausing to collect himself. "Your mind retreats and you just either panic, or you do your job or you lose your s---." Hester saw the cycle of war trauma and "stressors" repeated with his own sons. Sgt. Joshua Hester and Sgt. Jayson Hester both saw deployments to Iraq and Afghanistan. Joshua suffered injuries during deployment and was later sent home on a medical discharge, where he died from his injuries in 2012, Hester says. His eldest son, Jayson, now in his mid-40s with kids and a family, is gearing up to re-deploy in 2020 under a volunteer service agreement with the U.S. Army National Guard. Despite their heavy experiences, the three VFW members share a principle focus on current and future events. As they take their last sips of coffee and iced tea, Hester, Beldon and Collins head out of the diner to a planning meeting for a Veterans Day ceremony where plans for a new memorial wall will be unveiled in St. Helens.